CareOne exceeds expectations on newly implemented Medicare Compare categories for short-term patients. Fort Lee, NJ – June 2, 2016 – On April 27, 2016,the Centers for Medicare and Medicaid Services (CMS) added four new quality measures for short-stay patients to the Medicare Compare website, the most comprehensive change to Medicare’s quality measures since 2003. CareOne, New Jersey’s largest privately owned post-acute and long-term care provider, scored higher than the national average on all four of the new quality measure ratings. “These quality results are reflective of CareOne’s long-standing commitment to provide the highest standards of care and service to our patients,” said CareOne CEO Daniel E. Straus. Were successfully discharged to the community – CareOne came in at 55.4% versus the national average of 50%. Have had an outpatient emergency department visit – CareOne rated 8.2% versus the national average of 11.5%. Were re-hospitalized after a rehabilitation facility admission – CareOne ranked 20.9% versus the national average of 21.1%. Made improvements in function – CareOne reached 70.3% versus the national average of 63.5%. “We tailor each patient’s care plan and do everything in our power to ensure superior clinical outcomes, including offering on site physicians and medical specialists and providing continuing education on the latest health care trends to our staff,” said Chief Nursing Officer Karen Davidson. “All of our centers located across New Jersey offer therapy seven days a week and 95% of our patients receive one on one therapy, which enables our patients to regain their prior level of functioning faster and in a safer environment,” added Senior Vice President of Rehabilitation Services Ian Oppel. Three of the new quality measures (rates of rehospitalization, emergency use and community discharge) are based on data submitted by hospitals, rather than data that is self-reported by skilled nursing facilities, making the impact of the data more significant. According to the CMS website, the new measures were put in place to provide family members and caregivers with meaningful information when considering rehabilitation facilities for their loved ones. For more information on the quality of care provided to patients by Medicare and Medicaid-certified facilities and to view individual CareOne center rankings, visit https://www.medicare.gov/nursinghomecompare/search.html. 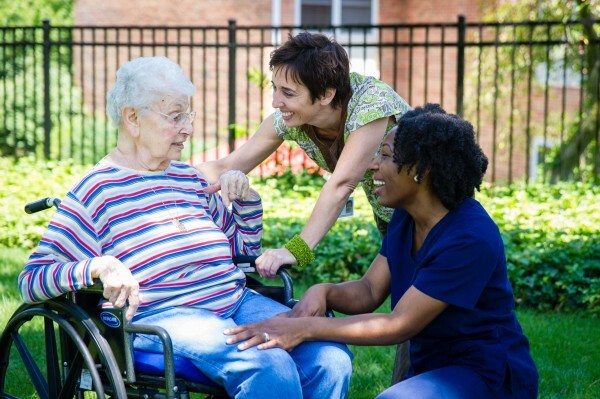 With services that include post-hospital care, rehabilitation, assisted living, long-term care and a variety of clinical specialty programs, CareOne offers compassionate care in gracious, professionally managed centers and communities. CareOne serves thousands of patients every day and admits/discharges more than 20,000 patients every year. With more than 29 centers, CareOne’s outstanding programs and services are conveniently located throughout New Jersey. For more information about CareOne, please visit www.care-one.com. Follow us on Twitter at @CareOneMgt, on Instagram at @careonemgt, on Facebook at CareOne Management, LLC, and on LinkedIn at https://www.linkedin.com/company/careone-management-llc.